Fast Furious 7 Racing - is a great 3D car racing simulator game. Become the driver of some of the fastest cars in the world. Drive thru the City streets in a collection of game modes like classic race, countdown, knockdown, and drift. In Fast Furious 7 Racing you can drive more than 7 extremely Fast, beautiful cars on asphalt tracks, tokyo streets, desert mountains, and many others. In fact with the new update you can drive 12 extremely fast cars. 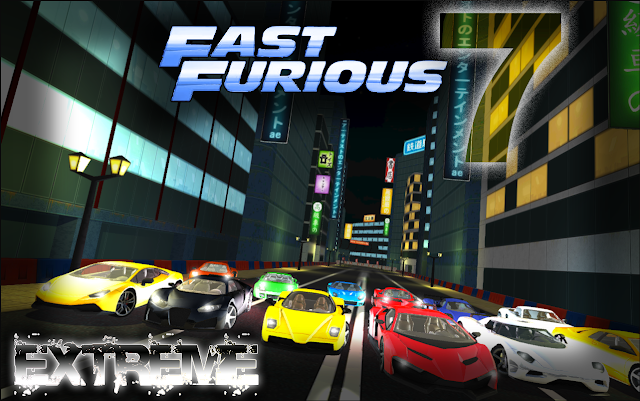 * Fast Furious offers you a great, fun gaming experience that will help you to become the king of the streets and the best driver on them. * So are you excited to get behind the wheel of some realistic super cars and race against other racers, then you'll be very excited to play Fast Furious! * Buy better cars to have better handling.